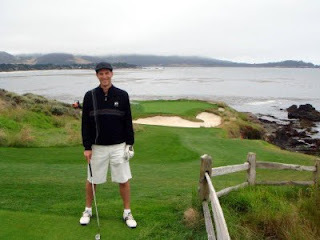 In my July 20th blog “One-item to shortly be crossed off my bucket list-Pebble Beach” I mentioned that I would be golfing at the famed Pebble Beach and Spanish Bay golf courses. 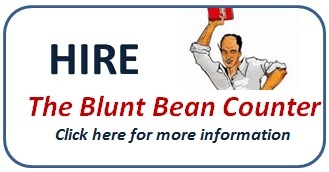 This blog details these games, so if you are not into golf you may want to hit the escape button. 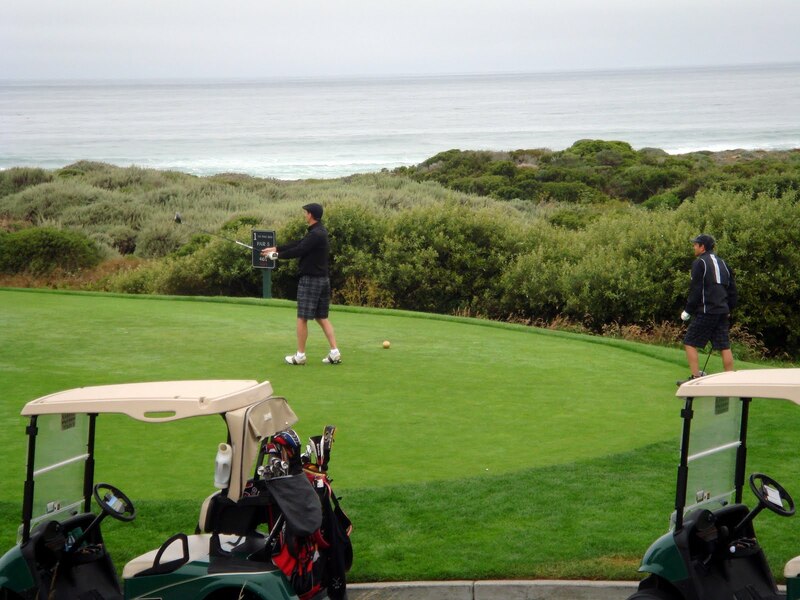 The first decision I needed to make in regard to this golf outing, was whether to stay at Pebble Beach, Spanish Bay, or a local hotel. Both these resorts are beautiful, but extremely pricey. However, if you stay, you are guaranteed a tee time. My friend Harvey and I decided we would splurge and stay at Spanish Bay, as the last thing we wanted was to arrive and not get a tee time. Our second decision was whether to hire a caddy. We decided on a caddy as Harvey and I wanted to get the true feel of the course by walking and we wanted to have time to take pictures. We were provided one caddy for both of us. To our distress, he took our clubs from our bags, placed them in lighter Pebble Beach golf bags, and left most of our golf balls behind. We figured we would need many balls, however Michael, our caddy, said we wouldn’t; this was just the first of many correct calls Michael made that day. 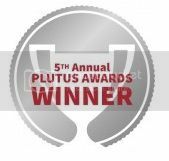 Michael’s reads and calls on many putts Harvey and I initially misread proved invaluable and saved us several strokes. As a 12 handicap golfer (or at least a 12 handicap under my weekend rules), my goal for Pebble Beach was to shoot below 90 and birdie one hole. We decided to play the gold golf tees, which are 6450 yards. Harvey and I figured between the wind and the difficulty of the course, the gold tees would be challenge enough. Harvey hit a great first drive, but I was so amped up to play that I had first hole jitters and mis-hit my first tee shot. Luckily I hit a great second shot and was able to scramble to a bogey on the first hole. I calmed down on the second hole; a short 460 yard par 5. I am a long hitter and I hit two long shots, such that I was just off the green in two. I then two putted to achieve my first goal, a birdie at Pebble Beach. To my amazement, I then birdied the 3rd hole, thanks to a great putt read by Michael. By the end of the fifth hole I was even par. I could not believe it. Michael, however, put me in my place quickly when he noted that Bing Crosby always said you better score very well on the first 5 holes, because after that the course will get you. 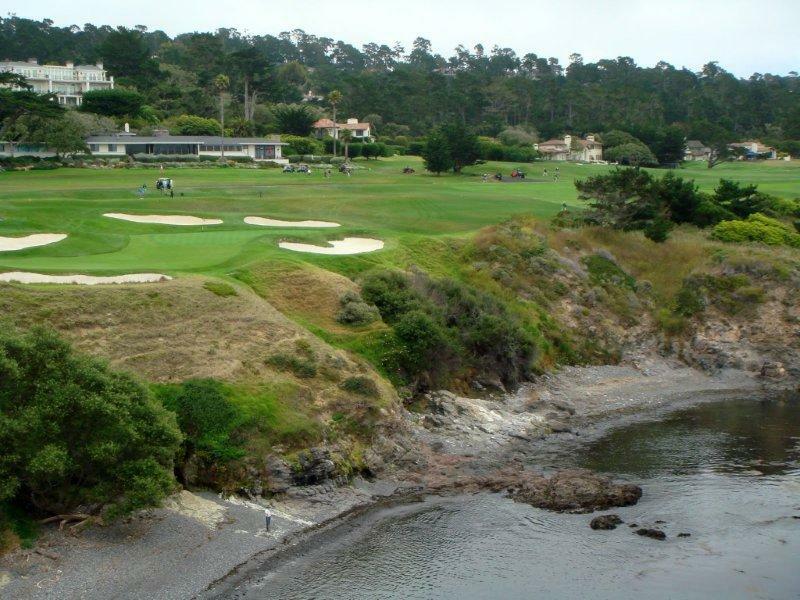 Holes 6 through 10 are the reason I have always wanted to play Pebble Beach. They run along the Pacific, with the surf crashing against the rocky outcroppings. 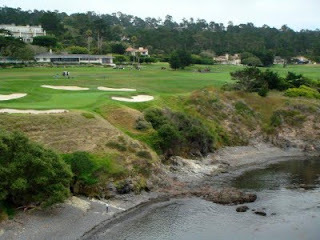 They also have cliffs, which are what really drew me to Pebble. I always remember watching Tiger Woods with the TV camera behind him looking up this huge cliff on the sixth hole and having to hit over it. That cliff will now give me nightmares forever. The 6th hole is a par 5 and I hit a very long drive down the right side. When I approached my ball I realized I was now facing the same shot Tiger had faced. Michael, who at this point had a feel for my game, said “take a 3 wood and hit it over the cliff to the right and you will probably hit the green.” I only saw cliff. I said no way because I did not trust my 3 wood to hit over the cliff and I wanted to play it safe and keep my score intact. I decided to hit my five iron, hopefully to within 50-70 yards of the green. However, that cliff just kept staring back at me and I was psyched out. 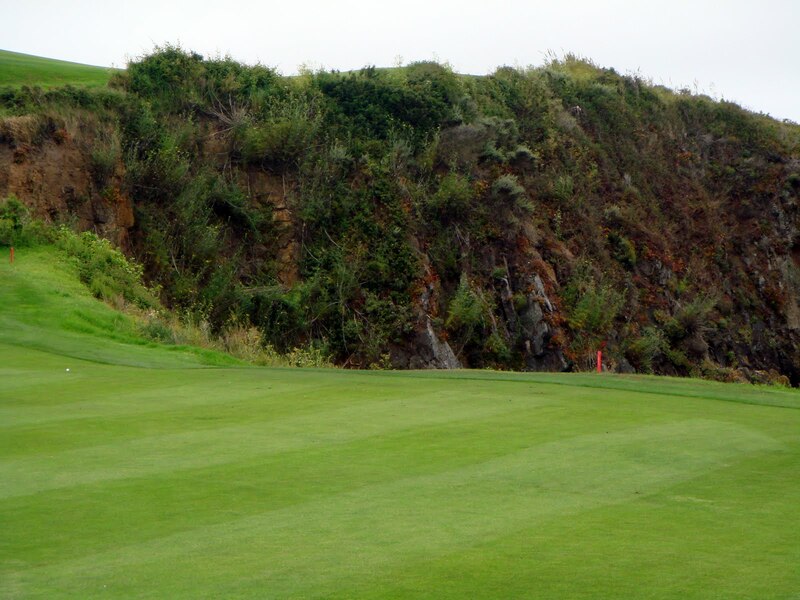 I tried to take a nice easy swing and not be fazed by the cliff, however, I stopped my swing and watched in horror as my shot bounced off the cliff and dropped what seemed like 500 yards into the Pacific Ocean. I was dejected and Michael gave me a “you should have listened to me look,” however, I saved a double bogey. The next hole is the famous 7th hole. It is only a 100 yard par 3. I am told it often plays at 100 yards even for the US Open. From an elevated tee you hit straight out toward the Pacific Ocean, with nothing in the background, trying to account for the wind. I took out my 56 degree wedge and swung easily hitting a nice high arcing shot I expected to land in the middle of the green. However, the wind had other ideas and it rolled over the back of the green clinging to life in the rough on a downhill slope. With another double bogey, I was quickly four over. This hole was as described and the approach shot was as amazing as you’d expect given that it’s Nicklaus’s favourite. I hit a long drive and a seven iron to the left of the green and took a bogey. I finished with a 42 after nine holes and I was pleased. 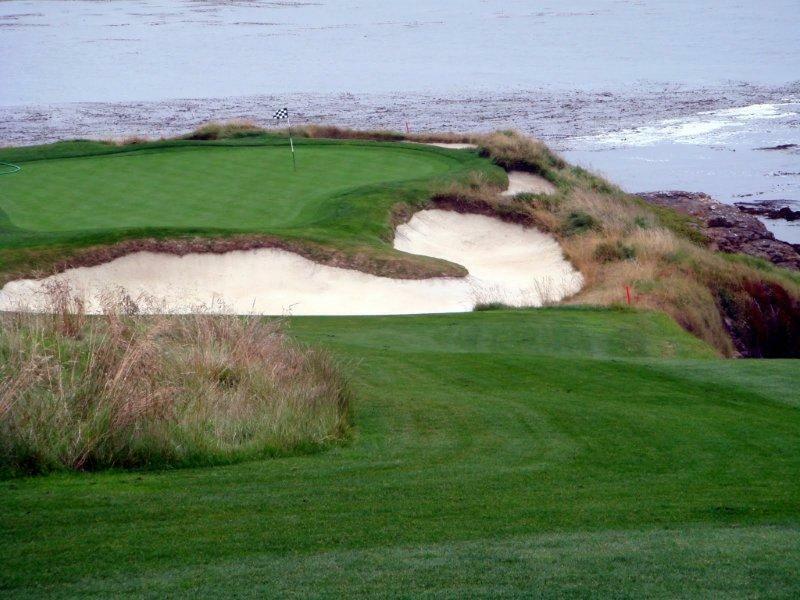 The tenth hole is the last along the coast until the 17th and 18th. I managed to par the tenth and the eleventh, but double bogeyed the 12th.hole. My first shot was slightly to the right of the green and Michael told me to use a lob wedge rather than a small bump and run and I ended up hitting a tree branch since my wedge got up so quickly. Michael apologized saying he did not think I could get my wedge so high so quick, but Michael saved me far more strokes than he cost me, so I could live with one piece of bad advice. Michael told us that Ben Hogan called the 13th “the longest shortest par 4” and that we were playing the US Open tees. The hole is uphill into a vicious wind. Ben knew what he was talking about as I took another double bogey hitting into the hurricane. I then took my third double bogey in a row on the 14th hole. It’s a 530 yard par 5, the number one handicap hole, and another hole that had me hitting into the wind. I settled down with a couple bogeys and then parred out on the 17th and 18th. The 18th was a great looking hole down the coast line. I ended up shooting 86, achieving my goal of shooting less than 90 and exceeding my birdie goal by achieving the back to back birdies on the 2nd and 3rd holes. All in all it was an awesome day and a great experience, which, to me, was worth the cost and a worthy bucket list item. 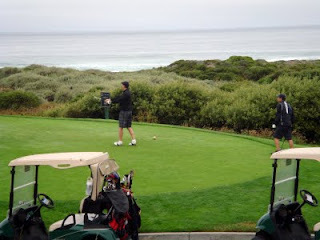 The next day we played Spanish Bay. In talking to the starter, we were told that the best pro score ever at Spanish Bay was supposedly 68 and that it is considered a far tougher course than Pebble. We were paired with a husband and wife team for this round and quickly realized the wife had no idea how to play golf and should never have been playing on a course of this calibre. 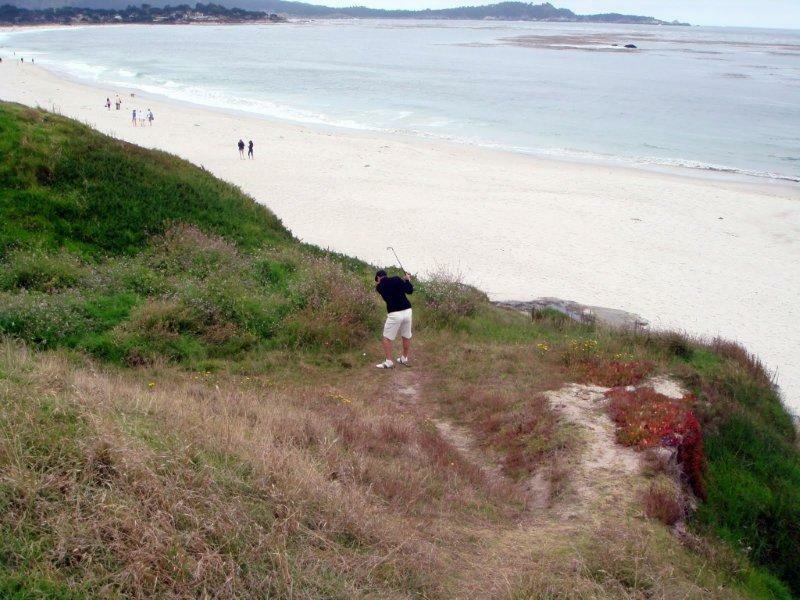 When we complained at the conclusion of the round we were told this is the number one complaint at the Pebble Beach courses; however, since they are public courses they cannot do anything about it. Personally, I am not sure why they cannot implement a minimum handicap requirement, but I digress. I will not go into detail about Spanish Bay other than to say it lived up to the starter’s billing. 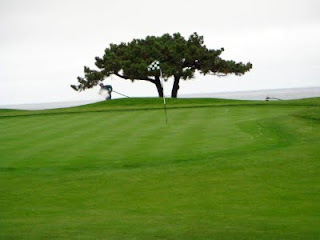 The fairways were tight, the greens extremely tough to read and, most importantly, the wind at Spanish Bay made the wind at Pebble seem like a breeze. I shot 96 at Spanish Bay and actually hit the ball very well most of the round. I only parred the tenth and twelfth holes. I think my experience at the 17th hole par 4 best exemplifies Spanish Bay. I was 150 yards out after my drive on this hole and would usually use a 9 iron. Due to the wind I hit a six iron. I hit the ball as well as I could hit it and it still just made it to the fringe. The wind was a 4 club wind; I should have used a 5 iron instead of a 9 iron. I don’t know how you adjust to such a wind. Anyways, despite the poor playing partner and my poor score, I really enjoyed playing Spanish Bay. In the end, it was a golf trip to remember. My next bucket list items are more vacation oriented, but somewhere down the line, I intend to cross my second golf course off my bucket list, that being St. Andrews in Scotland. Mark. Amazing work. Fantastic first person account of your adventures in a famous American golf Mecca. I enjoyed every word and really liked how you worked in the relationship with your caddy. First doubting him, and then trusting him. Also loved your original pictures and your Wikipedia references. You worked hard on this and really shows - great stuff.